Hair Loss is natural. But it becomes a medical concern when more than a normal amount of hair is lost each day. According to Web MD, the average amount of hair on an adult is 100,000 to 150,000 hairs and the average loss is about 100 per day. There are several different types of hair loss that occur for various reasons including autoimmune disease, hormone levels, natural aging, psychological disorders, and certain skin conditions. 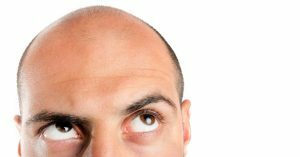 To learn more about the causes of hair loss, read through a selection of our blogs below. If there’s one thing we stand for at RHRLI, it’s that we love hair! We love everything about hair. We love long hair, short hair and everything in between. We love cool hairstyles and we absolutely love the artists who create them. 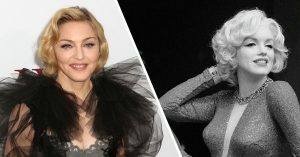 Hairstyles are special if they’re iconic or if they look good on you and hair stylists are special whether they’re world famous or if they simply make you happy. And April is a special month for hairstylists and the hairstyles we love. RHRLI is proud to celebrate Hairstyle and Hairstylist Appreciation Day on April 30th. 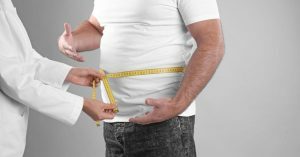 It’s a diet, a lifestyle and it’s becoming increasingly popular every year. 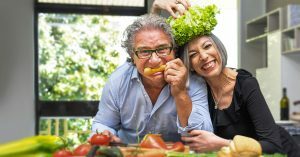 If you have embraced a vegan diet or if you’re considering adopting a vegan lifestyle, you may be doing it for a variety of reasons. You could be doing it to avoid eating animal products for ethical reasons. Or you may simply want to live a healthier lifestyle. Eschewing animal products can also help the environment because of the resources used to raise animals. Is There a Cure for Hair Loss in Fast Food French Fries? There’s almost certainly a lot of people reading this who love fast food french fries. Let’s face it; those crispy yellow fries you can get at the golden arches can certainly be addictive. We also know that they can be a guilty pleasure. But did you know that scientists may have found a benefit in french fries? 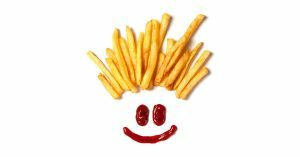 No, you’re still going to gain weight and clog your arteries if you eat them regularly, but researchers have found evidence that an ingredient in these fries may provide a breakthrough in curing hair loss. Last December, one of the most famous athletes in the world posted a shirtless Instagram photo of himself wearing reindeer antlers. But believe it or not, David Beckham’s visible body tattoos and festive, seasonal headgear weren’t the only things that had tongues wagging about the photo. 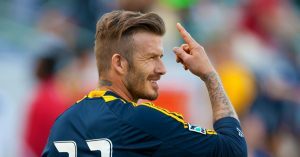 A lot of conversation revolved around the British soccer star’s hair, which has appeared a lot thicker than it had been recently, which has led to much speculation that Beckham may have had a hair transplant. 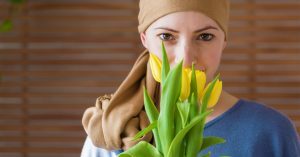 A cancer diagnosis involving you or a loved one can bring up so many different emotions. It can be numbing, it can cause great sorrow, and sometimes it will trigger great anger. Coping with cancer means that your life is going to change in so many different ways. 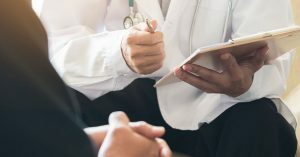 One particularly difficult part of a cancer diagnosis has to do with hair loss as one of the side effects of medications used to fight the disease. RHRLI specializes in hair loss, and we know that cancer patients often lose their hair during treatment. We understand how difficult it is to deal with cancer and hair loss. Finding a solution to hair loss is a very personal thing. All of our patients at RHRLI are deeply concerned about their appearance. We know that any interaction with doctors or other medical professionals is also deeply personal. People want to be comfortable with their surroundings and establish a trusting relationship with their doctor. If they’re having a hair restoration procedure, they want to understand every step of the process and they want to know the procedure works for them. At RHRLI, our practice is designed with our patients in mind. The RHRLI Edge patient experience is what sets us apart from other treatment centers. We buy hair care products for only one reason. Whether it’s shampoo, conditioner or another type of product, you use it to look good. Hair is often connected with appearance, beauty, and self worth. Hair products are an important part of that. But what if hair products are responsible for doing the exact opposite of what it’s intended to do? Can hair products be responsible for hair loss? 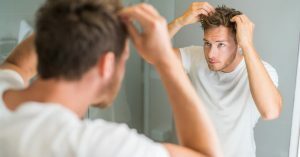 At RHRLI, we’re often asked whether there’s any connection between hair product and hair loss. Is using too much or too little shampoo or conditioner dangerous? Are there types of products you should avoid? Let’s explore the possible links between hair product and hair loss. There’s no getting around it. We worry about our hair constantly. We worry about how it looks. Is it too long or too short? We wonder if we’re wearing the right hairstyle. We fret about hair products we use. And if you think your hair might be thinning, most people begin to get really concerned. We hear all sorts of stories about hair loss and very often it’s difficult to determine what’s true and what isn’t. RHRLI knows it’s important for our patients to understand the truth about their hair loss. 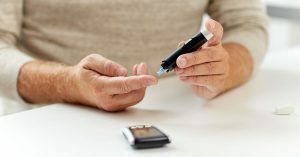 Diabetes Medication and Hair Loss? Diabetes is one of the biggest public health problems in America. According to the American Diabetes Association, nearly 30.3 million adult Americans were known to have diabetes in 2015. That represents 9.4 percent of the population.